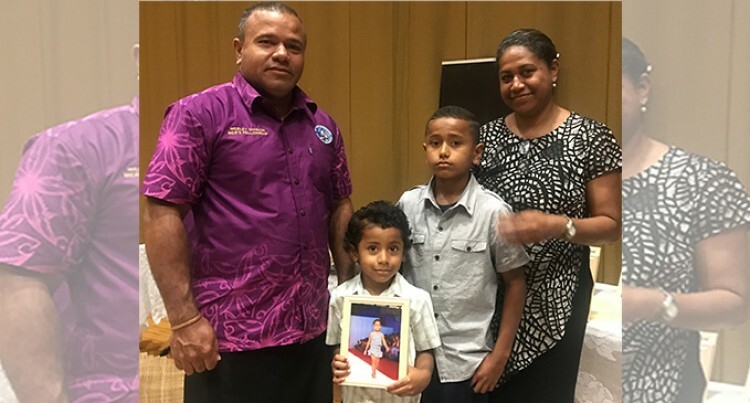 A man who lost his daughter to cancer last year has praised the work of WOWS Kids Fiji for easing the pain suffered by families. Speaking at the WOWS Kids (Fiji) thanksgiving service yesterday, Jone Tikoca, thanked the NGO for the “great job” it does in taking care of children diagnosed with cancer. Hundreds gathered at the University of the South Pacific ICT Centre for the service. His daughter Ulamila Tikoca was diagnosed with a brain tumour in 2015 and died last year. Mr Tikoca said in 2015 doctors told them that Ulamila would only live another three to six months before she died. However, he said, they believed in God’s miracles and Ulamila lived another two years. That time not only enabled the family to spend more time together, but it strengthened their family bond. “We were able to fix our relationship with God after Ulamila got sick and I thank the Lord for that. Before doctors could identify the sickness, Ulamila was already bedridden. Mr Tikoca described his daughter as an active and gifted child. She took part at the Fiji Fashion Week when she was four years old. “As a father I tried to be strong and I thank God for the strength to go through those hard times,” he said.